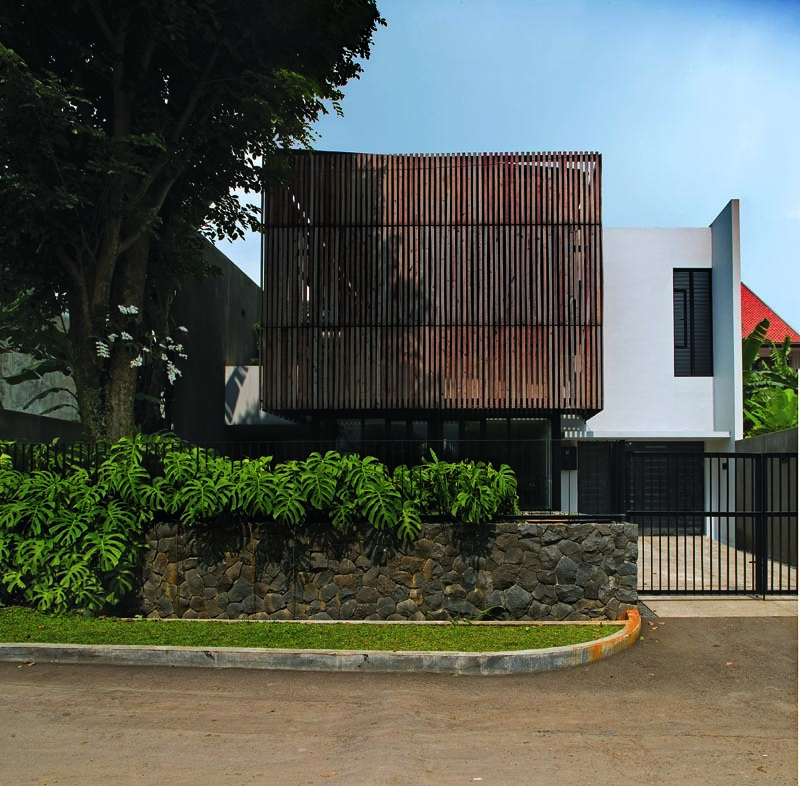 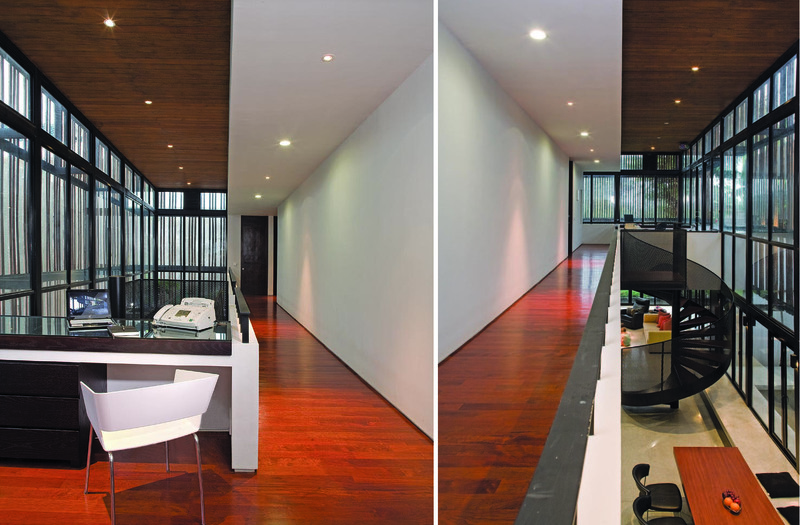 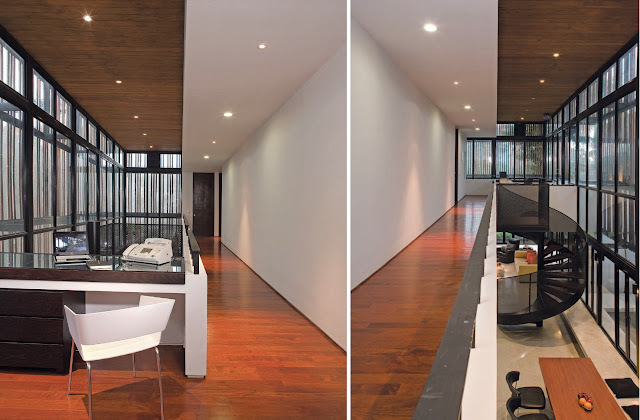 The 334 m2 Wood Box house Designed by Indra Tata Adilaras is located on a narrow lot in Bogor, West Java, Indonesia. 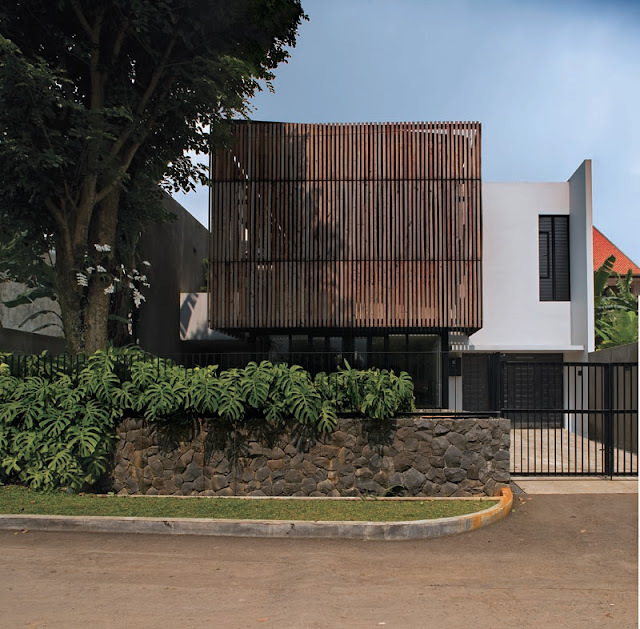 The home is composed of two concrete volumes that create a double-height transparent box that provides both a rich family space inside, as well an open-air tropical verandah. 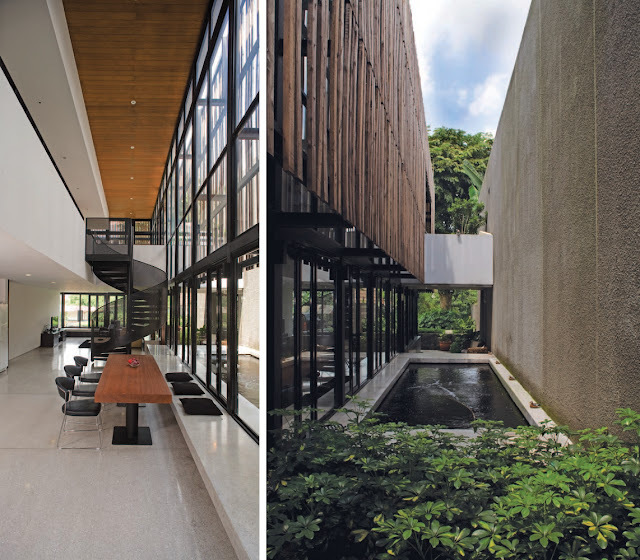 Large glazed fenestration open to raised gardens and a koi pond giving the living areas a feeling of being slightly underground. 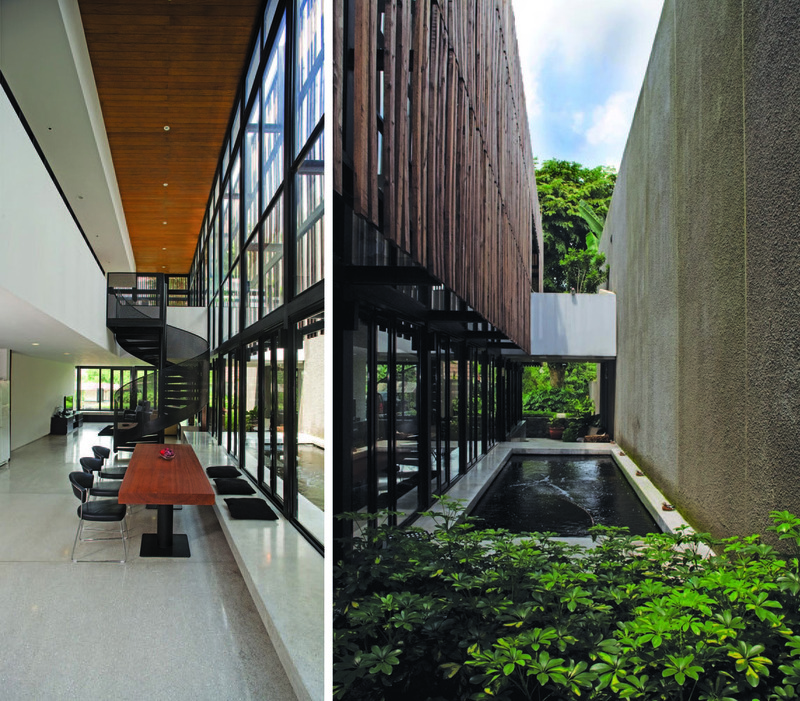 Such amazing house!! 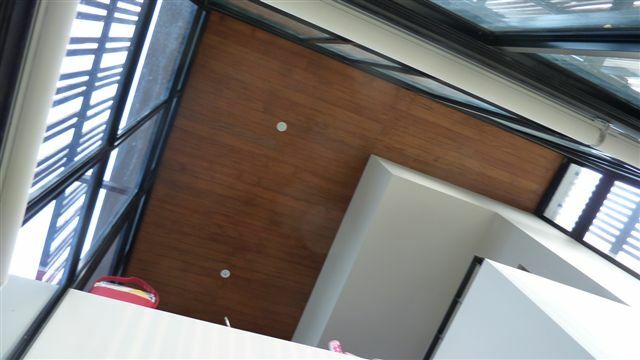 Love the lines.